Stella magazine: Stella at Bienvenue Pop-Up shop! Stella at Bienvenue Pop-Up shop! Rie Elise Larsen and the lovely owners, Mette and Rikke. You can now buy the latest issue of Stella magazine, The Pop Issue, at Bienvenue Pop-Up shop in Hellerup, just north of Copenhagen. 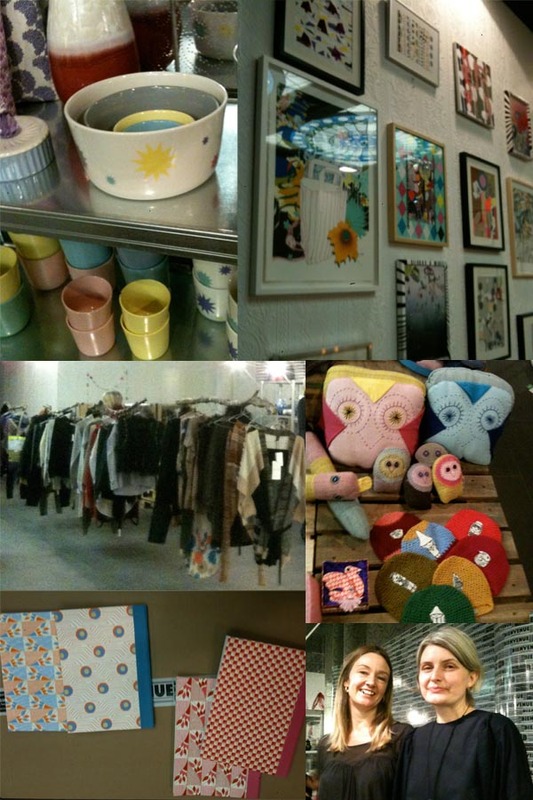 Here you'll find a very cool selection of artwork, porcelain, notebooks and knitwear. It's definitely worth a visit. Plenty of fine Christmas gifts and treats for yourself! CPH:DOX - let the festivities begin!